PariMatch, a famous Russian online bookmaker, released some interesting stats about Bitcoin betting on their platform. The bookie claims that over 80% of users that make Bitcoin deposits on the website don’t actually bet with them. So, what do they do with deposited Bitcoins? Well, according to Ivan Lyashenko, a product director on PariMatch, the customer use this platform to store the coins. Yes, PariMatch’s players are using the betting operator as a Bitcoin wallet. It all started in January when PariMatch began to offer this cryptocurrency as a deposit and withdrawal method. The users quickly adopted Bitcoins, and over 300 of them made deposits. However, only around 50 users made wagers and bets with their crypto coins. Additionally, Ivan released some other stats about PariMatch’s Bitcoin depositors. For example, players from Kazakhstan are the biggest depositors of Bitcoin on the platform. But they are also the ones that don’t make wagers with the cryptocurrency. On the other hand, Ukraine, Moldova, and Russia are betting with Bitcoins the most. 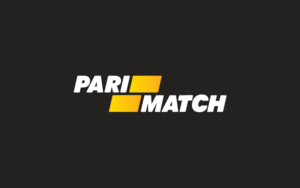 PariMatch is a fan-favorite sports betting platform in Russia and ex-Soviet countries. Their main website (parimatch.ru) doesn’t accept Bitcoin payments because the Russian government doesn’t allow licensed gambling operators to incorporate any cryptocurrency. That is why they have opened a Curacao-based and licensed gambling site (parimatch.com) where they do offer Bitcoin transactions. Therefore, all these stats in the article come from PariMatch’s sister website in Curacao. Even though PariMatch is not frustrated with players that are using their platform as a way to store their Bitcoins, we can imagine that PariMatch would be more pleased, if these accounts started to spend these coins. However, right now, they don’t plan to take any action against them.